The US Open is a golf tournament that does just what it says on the tin, taking the tournament's name to heart in 2017. 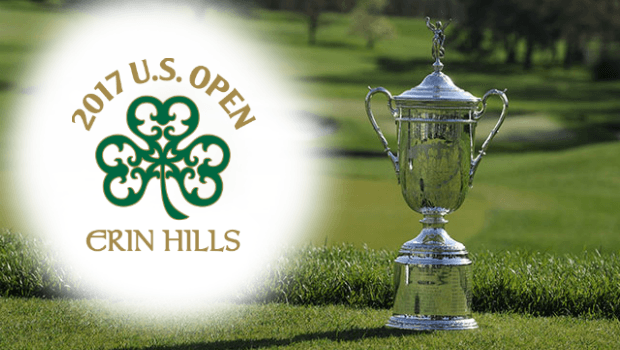 With players from way down the golfing ladder able to participate so long as they have a 1.4 handicap and a few hundred dollars, the 2017 US Golf Open in Erin Hills really is the definition of the word 'open'! As we all know, golf has a hierarchy for a reason and, despite some inspiring stories capturing the headlines on the way to the tee, it's likely to be a pro that takes the title on 15 June. Sure, we could see a surprise win from a qualifier such as the reigning US Mid-Am champion Stewart Hagestad, but the bookies don't think so at this stage. If players interested in betting the event take the shortest odds available on the web from a selection of our top betting sites, they'll see that none of the frontrunners are ranked outside the PGA's top 25 players. With three wins and six top-ten finishes from 11 tournaments this season, Dustin Johnson is the man on top form heading into the US Open. In fact, if you head over to NetBet, Johnson is the 15/2 favourite there and that's helped push the odds of an American winner to 11/10 (with the odds of a European winner sitting at 19/10). Of course, if you're trying to piece together a golf betting strategy ahead of the US Open, you can't simply rely on one man. To help, our experts have put together some of the other top betting choices for the tournament this weekend. Naturally, as is always the case when a golf major takes place, the big names are in the mix. This year, Rory McIlroy (12/1 at LeoVegas), Jordan Spieth (45/4 at Guts) and Jason Day (14/1 at NetBet) are all in with a shout. Jason Dufner = 66/1 @ LeoVegas | With two top-ten finishes in recent US Opens and a win at The Memorial in 2017, Dufner should be full of confidence heading to the tee. Although he'll need more than confidence to topple an even more confident Dustin Johnson, there's no reason we couldn't see Dufner at least making the cut. Brandt Snedeker = 87/1 @ Guts | Another player with multiple top-ten finishes, Snedeker has a great short game and his putting could put him into contention if the course runs in his favour. While there is sometimes a question mark over his tee shots, if he can find the green there's no doubt he'll be a force to contend with. Brooks Koepka = 44/1 @ NetBet | A man who often puts in a solid performance if he makes the cut, Koepka could surprise a few people during this year's US Open. Indeed, with an event average of under 15, he could easily be among the top contenders if the likes of Spieth and McIlroy make a mistake. Beyond picking the outright winners, you can find value with some of the bookies' more exotic bets. With NetBet offering odds on a range of specials, here are a few key highlights that could give you a little something extra to cheer about as the players cross the fairway. US Open 2017 to be a Playoff = Yes (1/5) or No (16/5) | Given Johnson's form this year and the comparatively long odds for those around him, it's unlikely this one will go to the wire. Head to Head: Johnson vs McIlroy = Johnson (20/33) or McIlroy (6/5) | In previous years we might've tipped McIlroy for this one, but with Johnson coming in as the reigning champion and form on his side, it looks as though the odds are with him this time. Although the popular vote will go to Jon Rahm (5/4), NetBet's 27/20 odds on Sergio Garcia look too good to pass up. Although he hasn't played much this year, he does have a win from the 2017 Masters in Augusta and could be set to find his best form at Erin Hills.Whatever way you bet and however close the betting lines are, there's no doubt the 2017 US Open will produce some exciting rounds of golf. With amateurs and local players looking to upset the odds, you could certainly see some interesting match-ups when the shots start to fly. Head over to the excellent golf betting section at LeoVegas' online bookmaker! Players signing up through Gambling.com receive a generous welcome bonus to use on this weekend's tournament!